Atoms are microscopic particles that make up the world around us, and they are about a hundred thousand times smaller than a human hair. All atoms are made up of three building blocks; Protons, Neutrons and Electrons. These three particles each have a different role in the atom. The Protons and Neutrons are found in the nucleus. Protons have a positive charge and repel each other, and the number of Protons defines what Element the atom is. Neutrons have no charge and they bind to the Protons in the nucleus, in order to reduce the electromagnetic repulsion between the Protons: they stabilise the nucleus, allowing multiple Protons to exist within the same nucleus. Without this stabilising factor, Hydrogen would be the only element able to exist. Electrons have a negative charge and the interaction of the Electrons defines an atom’s chemical reactivity and other properties. An un-ionised atom will have the same number of Electrons as Protons. While Electrons are fundamental particles, Protons and Neutrons can be broken down even further into Quarks: a Proton contains two Up Quarks and one Down Quark, and a neutron contains one Up Quark and two Down Quarks. The Periodic Table of the Elements arranges all the discovered elements according to their Proton Number. It is called the Periodic Table because of the order and patterns that are exhibited by the elements. For example, the first Period contains the highly reactive Alkali Metals, and the last period the largely inert Noble Gases. The shape of the Periodic Table is determined by the arrangement of electrons around the nucleus. Electrons do not orbit around the nucleus, as planets do. Instead they are arranged into Shells and Sub-Shells. Each row of the Periodic Table represents an electron Shell and each block a Sub-Shell. 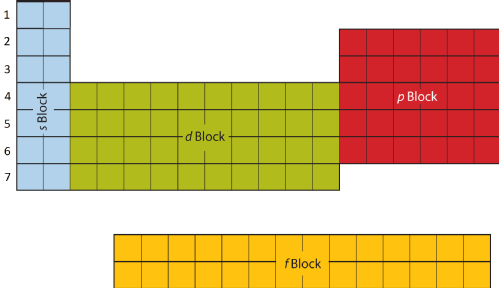 The exact layout is determined by the quantum mechanical nature of electrons. Each successive shell (or row) is made up of an additional sub-shell, and each sub-shell may contain four further electrons: the s sub-shell may hold two; the p sub-shell six; the d sub-shell ten; and the f sub-shell fourteen. 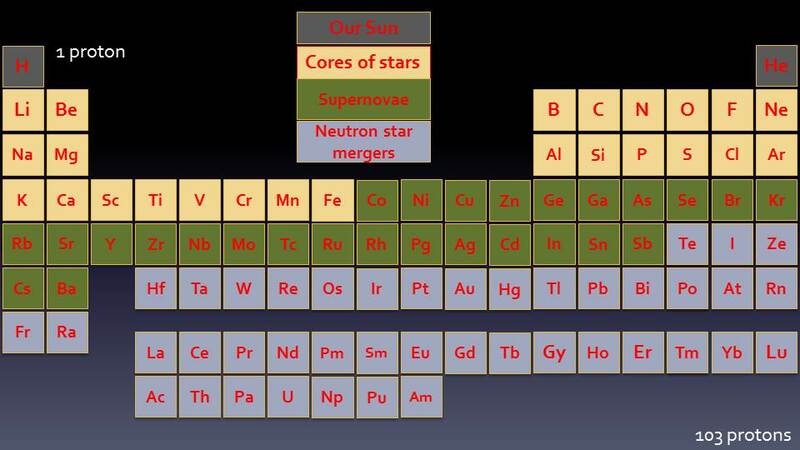 All of the elements in the Periodic Table are formed in stars, in many different processes. The smallest elements are made in small stars, but to make the biggest elements we need bigger stars, higher temperatures and the Biggest Bangs that the Universe can offer. In a star protons and neutrons are added together to form larger and larger elements. Stars are incredibly heavy - the sun is 300,000 times heavier than the earth - and the gravity creates enough heat and pressure to remove all the electrons from their nuclei and form Plasma. The gravity in the star also overcomes the electrostatic repulsion between protons, allowing Nuclear Fusion to occur. Nuclear Fusion releases energy, which comes from the conversion of a tiny amount of mass into energy (typically >0.1% of the mass of a proton). This energy release represents the binding energy of a nucleus: the energy gained by the assembly of the whole from its constituent parts. The binding energy comes from the relative strength of the Strong Nuclear Force, versus the electrostatic repulsion of the protons. Because of the short range of the Strong Force (∼3fm), smaller nuclei have larger relative binding energies, and there is therefore a limit as to how large a nucleus can be formed before the Electrostatic repulsion overcomes the Strong Force. The released energy comes from a change in mass of the nucleus: a 23Na nucleus will have a smaller mass than 23 atomic mass units (which is defined as 1/12th mass of a 12C nucleus), as some of the mass will have been converted into binding energy, released at the point of fusion. The energy released is given by Einstein’s equation: . This is the energy source for all stars. The Sun does only the simplest fusion, involving the two lightest elements: the creation of Helium from Hydrogen. The starting point, 1H, is a simple proton. When two of these combine, one of the protons will undergo Beta-plus Decay to form a neutron, because of the electrostatic repulsion between the protons. This reaction forms Deuterium, a Hydrogen isotope with one proton and one neutron. If a further proton reacts with Deuterium, it is simply added on, forming 3He. 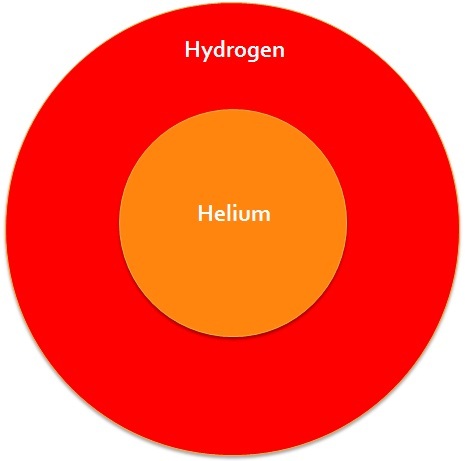 4He is the most stable Helium isotope, which is formed from two 3He nuclei fusing together, releasing two protons. It is this exact Nuclear Fusion process that occurs in the Sun and is its sole energy source. This reaction only happens in the core of the sun, where the pressure is greatest, creating a Helium core surrounded by Hydrogen waiting to be fused. The Sun will take 8 billion years to burn all of its Hydrogen into Helium, and it is only about halfway through. Once it has burnt all of Hydrogen in its core, the Sun will expand into a Red Giant, as it is not massive enough to be able to fuse Helium into larger elements. So far we have seen how the first two elements are formed in the sun. Hydrogen fusion takes place in all Main Sequence stars, and in heavier stars (>1.3 solar masses) it is catalysed by Carbon nuclei in the CNO Cycle. The overall reaction remains unchanged. The Sun is relatively small compared to some of the other stars in the galaxy. To create heavier elements, more massive stars are needed: increased mass increases the pressure and temperature at the core. To allow fusion to take place with heavier nuclei, the pressure must be greater, because nuclei with more protons have greater electrostatic repulsion between them. When a massive star has finished burning all the Hydrogen in its core, it collapses. The increased pressure and temperature allows Helium nuclei to fuse together, starting the Triple-Alpha Process. Two 4He nuclei (alpha particles) are combined to form Beryllium (8Be), which is highly unstable and decays back into Helium. As the pressure increases, the rate of Beryllium production becomes greater than the rate of decay. This allows further a further Helium nucleus to be added, producing highly stable Carbon, 12C. The production of larger elements releases energy in exactly the same way: the binding energy from the Strong Nuclear force outweighs the electrostatic repulsion, and is represented by a slight decrease in mass relative to its constituent components. In this way, elements up to Iron (56Fe) can be made. Elements larger than this cannot be made using the same process, as creating larger nuclei becomes endothermic due to the size of the nucleus. The energy gain in the fusion of smaller elements comes from the strength of the Strong nuclear force at short distances relative to the electrostatic repulsion. 56 nucleons is the limit at which the binding energy is greater than the repulsion, and therefore fusing larger nuclei will become energetically unfavourable. To form Iron, two Silicon nuclei fuse to form a 56Ni nucleus. Two protons then undergo Beta-plus Decay, turning into neutrons. 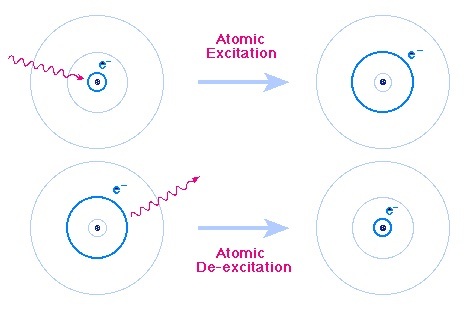 Through this decay, the nucleon number remains the same, as does the Strong interaction, but the electrostatic repulsion is reduced, because there are fewer protons in the nucleus. Therefore 56Fe is the largest stable nucleus that can be produced through nuclear fusion. The earth’s iron core will have been produced in the core of star, fusing nuclei together until no larger elements could be formed. The successive fusion reactions each require greater pressures to overcome the increasing repulsion between positive nuclei. This leads to layers forming within the star: each layer represents an increase in pressure such that further fusion reactions can take place and heavier elements can be produced. We have seen how in stars more massive than the sun, the next group of elements can be formed, and these Elements are the most abundant ones on earth. Carbon forms the basis of all organic life, and Iron, Nitrogen and Oxygen form much of the earth’s core, crust and atmosphere. In stars there are two opposite forces that balance each other out: Gravity and Pressure. Gravity attracts masses towards one another. It pulls all the nuclei into the centre of the star, making the star as small as possible. Stars are super heavy and therefore the Gravity is very strong. Pressure is made by the temperature in the centre of the star. 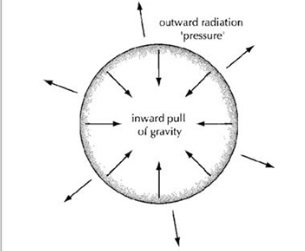 When atoms are heated, they move around faster and take up more space, creating outward pressure. The pressure in a star is also created by Electron Degeneracy Pressure. Electrons are fermions and cannot occupy the same quantum state as another electron, as defined by the Pauli Exclusion Principle. This means that all the electrons in a star must occupy different states, which increase in energy as more electrons are added. The extra energy required to excite these electrons manifests itself as pressure. During the process of nuclear fusion, these two forces balance out. Once a star has exhausted all its nuclear fuel, its temperature can no longer be sustained: the pressure is then overcome by gravity and the star collapses in on itself. Matter from the outer shells falls into the centre, bounces back off the extremely dense core and is flung outwards into space as a Supernova. Up to 20% of the star’s mass is expelled in this violent explosion, which can last for weeks. In the neutron-dense, high temperature environment of the explosion, even heavier elements can be synthesised through the rapid capture of neutrons – the r-process (rapid process). In the r-process heavy nuclei collide and fuse with up to a hundred neutrons in less than a second. This forms very neutron-rich isotopes, which will undergo Beta-minus decay. Beta-minus decay happens when there is an abundance of neutrons within a nucleus. Because a proton has a lower rest mass than a neutron, neutrons in the nucleus will decay into protons once there are enough neutrons to counteract the proton-proton repulsion. 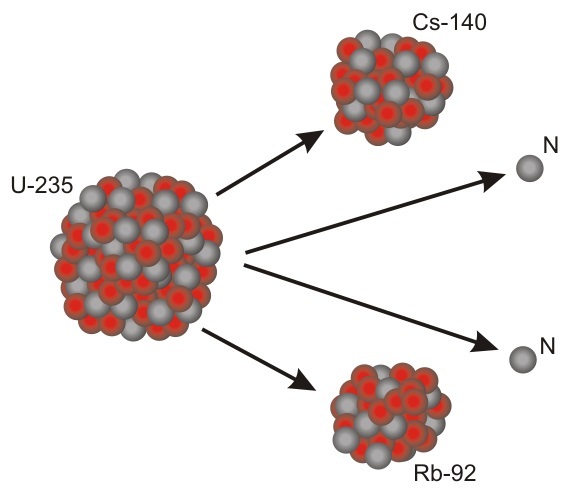 The rate of neutron capture in the r-process is much faster than the rate of Beta decay, and therefore highly unstable, neutron-rich elements are formed. The unstable nuclei formed will undergo neutron decay until more stable elements are formed. These new elements are still neutron-rich but they will no longer be unstable to Beta decay. In a Supernova up to 100 Neutrons can be added to an atom in less than a second, creating elements twice as big as those found in the core of massive stars. 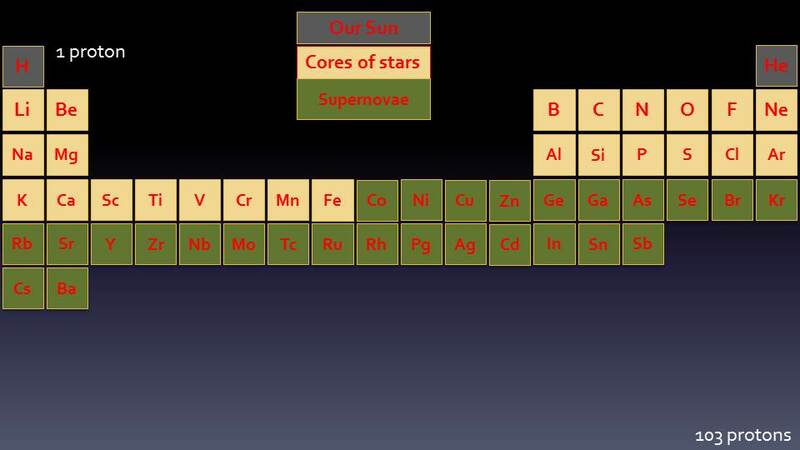 In this way, Supernovae create over 25 new elements in the explosion of the star, including Copper, Silver and Bromine. The largest element made in a Supernova is Barium, which has 56 Protons and 82 Neutrons. When a Supernova explodes, we can look at the elements ejected into space to see what had been created in the core of the dead star. Each element will have its own unique colour fingerprint, which can be detected by looking at the remains of Supernovae – Supernova Remnants. Each element will have a different colour, based on the arrangement of the electrons around the nucleus. The electronic arrangement around the nucleus is unique for every element. We can look at the colours in a Supernova Remnant to see what elements were made inside the star before it exploded. Above is a tiny part of the Veil Nebula, a Supernova Remant, with all of the elements shown. 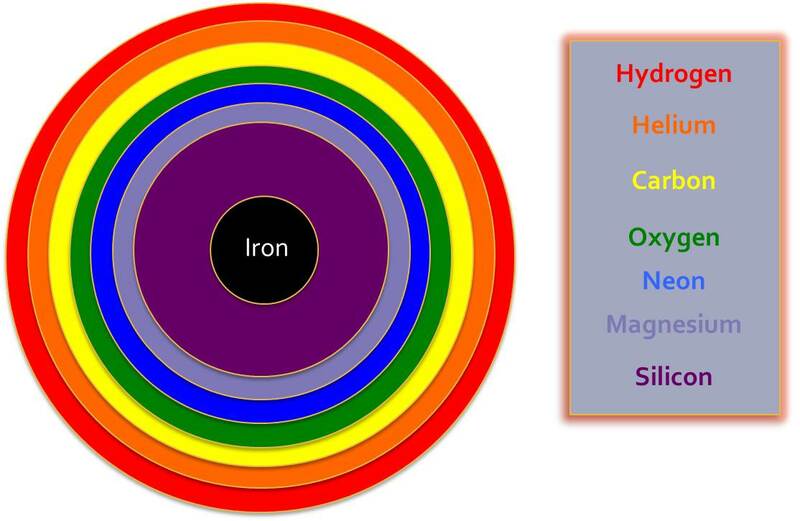 On the left are the elements separated out into their specific colours. This part of the Supernova Remnant contains three elements: Hydrogen (red), Oxygen (blue) and Sulphur (green). The unique colours are given off when electrons are excited and then fall back to lower energy states. Electrons orbit the nucleus at fixed distances and can move from one level to another. When given energy, an Electron can be excited to a higher energy state. The Electron then decays back to a lower energy state and, as it does so, energy is given out in the form of light. The colour of the light will have a very specific wavelength, depending on the energy levels of the higher and lower electron states. The difference in energy between the two levels will define what wavelength the emitted light will have. The energy levels are very precisely defined and therefore can accurately be used to identify specific elements. Each element will have a different arrangement of electron energy levels. Nuclei with more protons will attract the electrons more strongly and so they orbit more closely; and within the same row of the Periodic Table, each subsequent electron is shielded slightly more from the nuclear charge and orbits slightly further away. The interplay of these two factors give each element a unique set of electron energy levels, and a unique colour and wavelength fingerprint. In the picture below you can see the colours associated with a group of metals when they are burnt. The colours are unique and allow them to be easily identified. 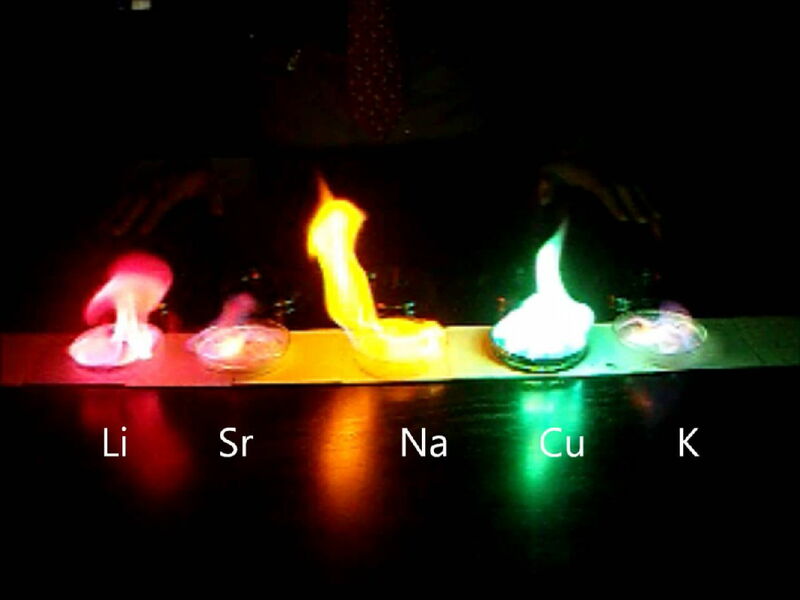 Five different metals can be seen all with very different flame colours. 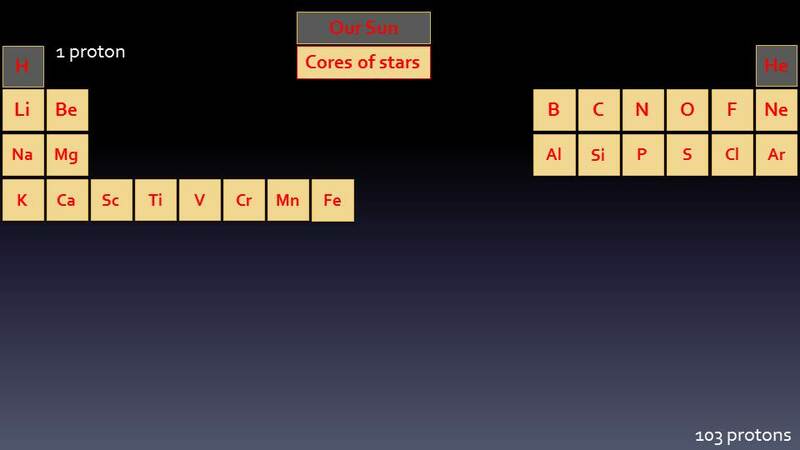 The metals used above are Lithium (Li), Strontium (Sr), Sodium (Na), Copper (Cu) and Potassium (K). The colours seen here would be exactly the same as seen in a supernova remnant. Sodium burns a bright orange colour, which is the same colour as street lamps, because street lamps use Sodium metal in them to produce the light. After a supernova, most of the mass of a star is thrown outwards into space and the core of the star collapses. Depending on the mass of the star, it will either form a Neutron Star or a Black Hole. A Neutron Star is formed after nuclear fusion finishes, and because of the drop in temperature - and therefore pressure - the star collapses under gravity. Before collapse, the star is held up by Electron Degeneracy Pressure. Electrons are Fermions and cannot occupy the same quantum state as another electron, as defined by the Pauli Exclusion Principle. While undergoing fusion there is enough outward pressure to sustain the electrons, but when the temperature drops, Electron Degeneracy Pressure is overcome and the electrons are captured by protons in the star forming neutrons. The vast number of neutrons produced give the Neutron Star its name, and it is covered in a crust of heavy nuclei created in the supernova that gave birth to it. Because the star is composed predominantly of neutrons, the star has a density comparable to that of atomic nuclei: a Neutron Star with the mass of the Sun would be only 10km across. Neutron Stars are held up by Neutron Degeneracy Pressure: Neutrons, like electrons, cannot occupy identical quantum states as one another. If a Neutron Star is too massive, even the Neutron Degeneracy is overcome by gravity and a Black Hole is formed. 5% of Neutron Stars are known to exist in binary systems, whereby two Neutron Stars orbit one another. As they orbit, they gradually spiral closer together until they collide, when the two super-dense cores combine and collapse into a black hole, and the crust of heavy nuclei is bombarded by a flood of neutrons. In the few tenths of a second that the collision takes, the temperature increases and hundreds of neutrons can be added to the elements in the crust, creating the very heaviest elements, like Lead, Gold and Plutonium. Many of the elements created in Neutron Star Mergers are unstable Radioisotopes, which decay into more stable isotopes, such as 238U, used as fuel in nuclear reactors. 238U is still an unstable isotope but it has a half-life of 4.5 billion years. When it decays, it does so in a process called Nuclear Fission, where the large nucleus splits into two smaller nuclei and releases a small number of neutrons. These neutrons can then destabilise surrounding nuclei, causing them to split, releasing more neutrons and creating a chain reaction - an atomic bomb. Due to the density of neutron stars, they emit gravitational waves as they orbit one another as can be seen in the video below. Gravitational waves were hypothesised by Einstein in 1916 and they were first detected in February 2016, originating from the collision of two supermassive black holes. The force and power of incredibly massive Neutron Star Mergers give rise to the biggest and brightest explosions in the entire universe - Gamma-Ray Bursts. For the fraction of a second that they happen, they are brighter than all the other stars in the universe put together. These are the universe's Biggest Bangs.